a little café in battersea. A little bit of a different post for me, I hope you appreciate the change from my usual outfit posts! I've been thinking about ways I can improve my blog, so I'm determined to start posting about things other than what I've been wearing, such as my days out and my favourite places, as well as showcase my photography - just like what I used to do when I first started Jazzabelle's Diary. 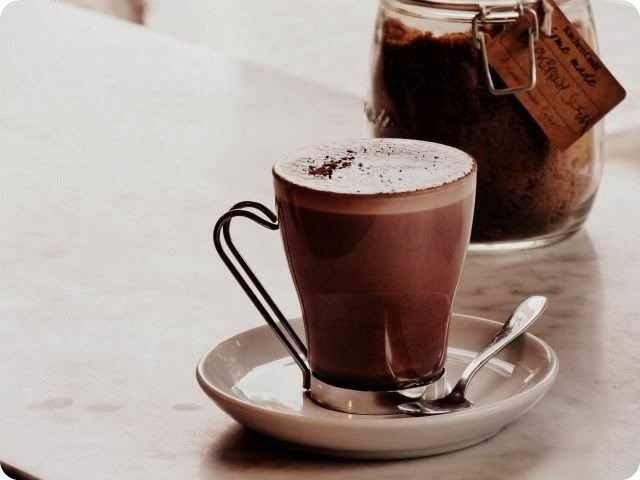 After one of my regular visits to Battersea car boot sale or rummaging in my local charity shops, my mum and I often stop by our favourite little café, Il Molino, for a hot chocolate and a slice of cake. It's such a sweet cafe, quite rustic with a lovely atmosphere (though I have to admit that the service can be a little touch and go), plus I adore the eclectic decor! 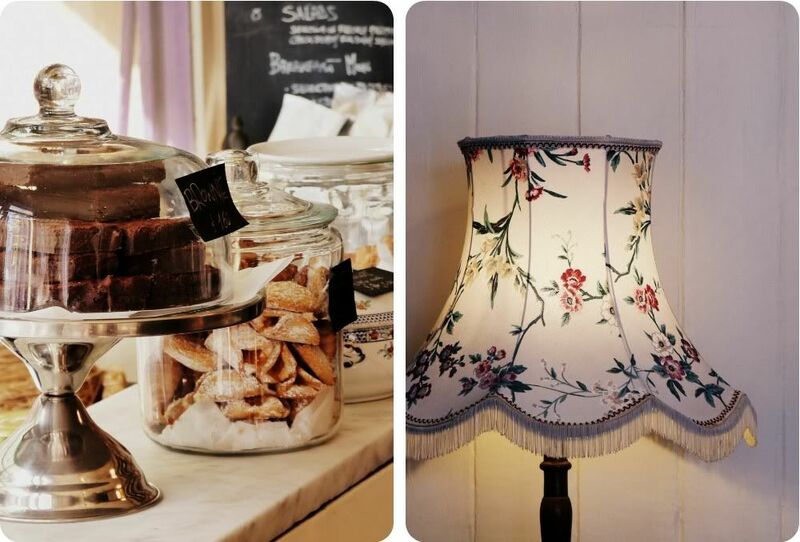 Wooden tables, peeling paint, glass jars and pretty lampshades are always a winner for me. The prices of the drinks are fairly reasonable for an independent café, but the food is a little on the expensive side for me personally. They always have some delicious paninis, salads and cakes if you fancy treating yourself, though. I popped to Il Molino with my mum yesterday afternoon and she also took some outfit shots of me, so I'll share what I wore with you in another post very soon. 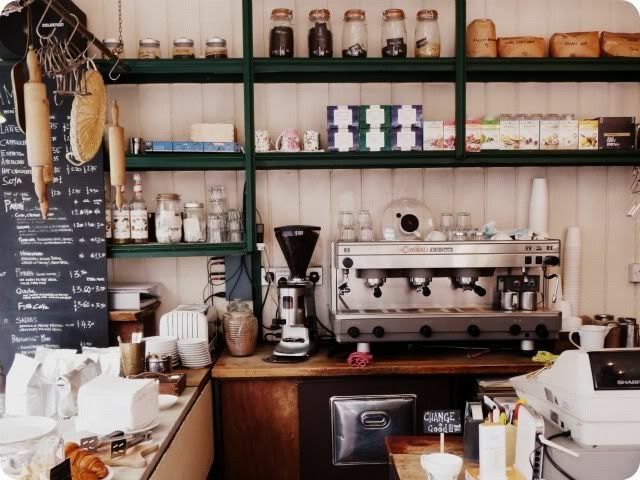 Do you have a favourite local cafe to visit? If so, please share! Love, Jazzabelle. ohh this café looks so gorgeous! so homely and comfy! Lovely cafe. That is my kind of place! Wow, this looks gorgeous, will definitely try and visit next time I'm in Battersea. Love the crockpot with biscuits in! Soooo cute! Now this is my sort of cafe....I would love to visit this one. There presentation is beautiful. That looks like the cutest cafe ever :)And all the baked goodies look so good! 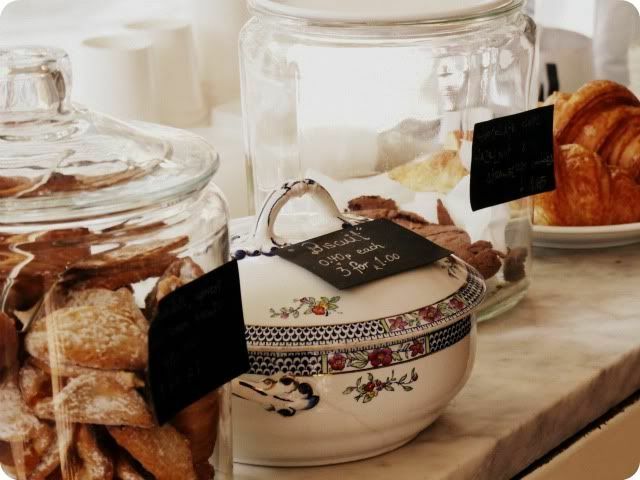 Il Molino cafe seems like the perfect quaint spot to have delectable treats. Exceptional captures, girl! Aaah it looks lovely, and your photos are beautiful! We have a little vintage tea room near here which I must go back to soon! I enjoy posts like these, and that cafe is far too delightful not to share. 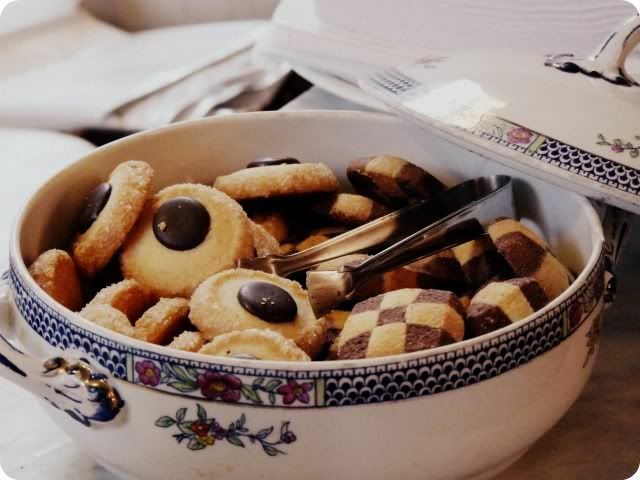 That's really good photography and I love that pot with cookies those are my favorite type of cookies fidge thumbprints. I love cafes! This one looks beautiful, I love the decor and how everything is presented. I'm craving a fancy coffee now... I live in the Yorkshire Dales so there are cafes everywhere you turn haha. love the photo's hun! I want a nice cuppa and slice of cake now!! 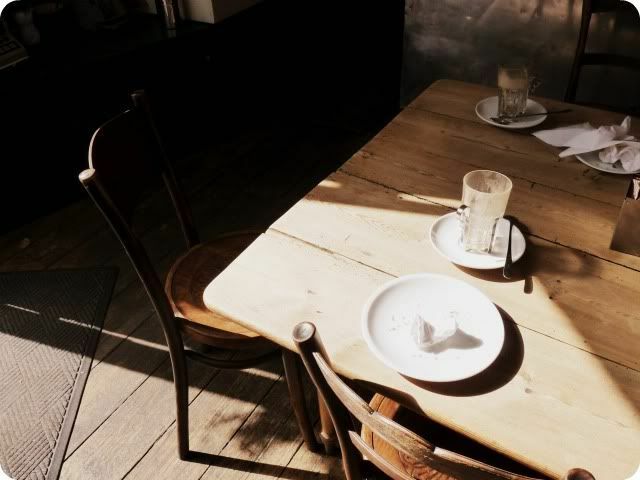 This is a great post Jaz, looks like an adorable cafe! Unfortunately my usual pick is just the local starbucks, although at Uni we had a gorgeous vintage-esque teashop called 'curiositea' which was a treasure! oh my god, this is so lovely! 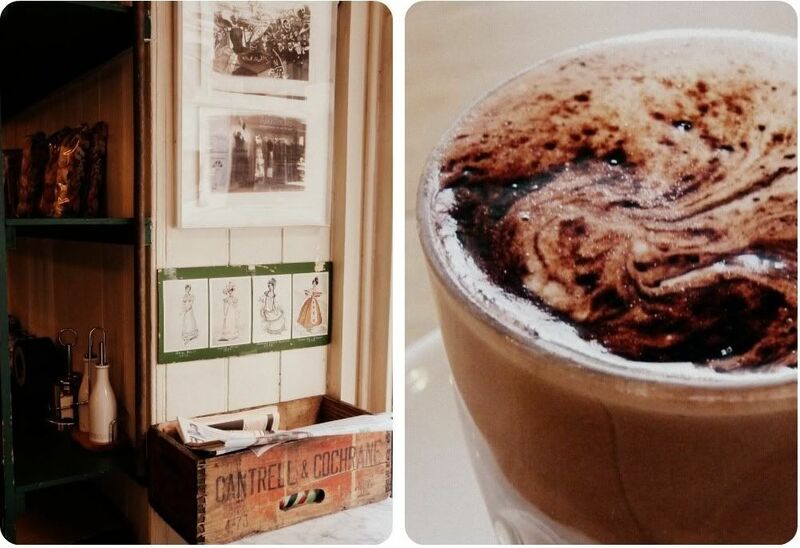 next time i come to London can we please go get a hot chocolate here? I'd love to go again it was so lovely in there! these photos are so friggen' cute! ought to check this place out! Ahh these pics are lovely, guess it's best that you kept the posts separate! We need to go here again and for pancakes soon. Ohmy, those lampshades, how beautiful, it's definitely a very cosy place. These photos are beautiful and this looks scrummy, just what I need right now! I want a trip there. Looks gorgeous. what a lovely looking cafe! What a gorgeous little cafe! I wish there was somewhere like this near me. I'd be in there all the time! Awe, I love these photos! I wish there were more like this one over here :/. Looks lovely! One of my favourite cafes recently closed (I think the owners retired). It was in an old butcher's shop and full of beautiful plants. Such a pretty little cafe and some great photos. I need to find somewhere lovely like this to s top off for a cup of tea. Ooh, I will definitely have to go for a visit here after my next outing to Battersea carboot. Looks lovely and after some bargains down at the carboot can maybe afford to treat myself. Your photographs are gorgeous, what camera do you use. I wander what happened to my pretty blue biscuit jar?